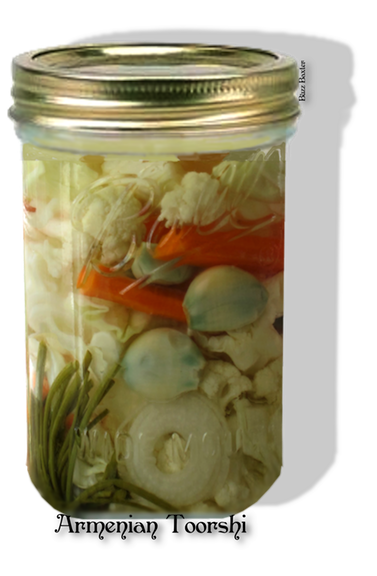 the from top and tightly pack additional vegetables in jars as they begin to settle. 2. Use celery tops to keep vegetables under liquid. Then complete filling of brine. Place a teaspoon of brown sugar on top of each jar and seal tightly. Set bottles in cool place. 3. Toorshi will be ready in two weeks.